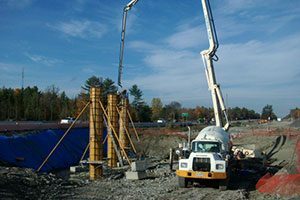 Heavy Civil Construction General Contractor - Bonnechere Excavating Inc.
We are a Heavy Civil Construction General Contractor building roads and highways. In addition, we specialize in Excavation, Grading, Drainage & Sewer projects. 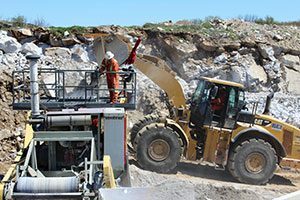 Complementary services include Equipment Rentals, Aggregate & Topsoil Sales, Crushing and Screening, Haulage / Floating and Highway Maintenance. We have successfully completed major projects including the expansion of the 401 near Kingston, the reconstruction of Downtown Renfrew, the conversion of Highway 17 to 4 lanes near Arnprior, CN Track Bed Widening, Power Generation construction and the rehabilitation of sections of Highways 60, 535, 35/118. Whether you are expanding a major highway, building a new sub-division, landscaping your new home or improving the drainage of your property, we have the aggregates you need. We have all the equipment necessary to deliver sand, gravel and quarry aggregates to your job site on-time and budget.